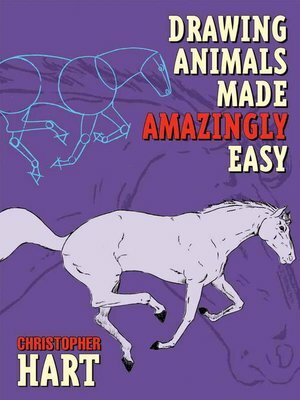 Christopher Hart, America's best-selling author of art instruction books, tosses all that aside to make drawing animals truly amazingly easy, by simplifying animal anatomy so that artists can get the poses they really want. What does that animal look like as it moves, bends, twists, jumps, runs? Simplified skeletons and an innovative new approach show how to look at an animal as a strangely built human with an odd posture--allowing the artist to draw animals by identifying with them. Hart's step-by-step instructions and clear text mean true-to-life results every time, whether the subjects are dogs, cats, horses, deer, lions, tigers, elephants, monkeys, bears, birds, pigs, goats, giraffes, or kangaroos.